Heh, one of the few games with a inbuilt level editor I recall. Amusingly they didn't remove "save" from the american and european versions, while saving only really worked on the orginal japanase famicom disk system version. 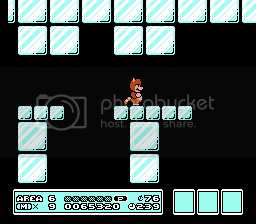 The hacks called Alternate Reality Mario 64 by the way. Last view: 92 days Cool. You working on a new hack? No quotes found; we apologize for the inconvenience. Commas, question marks, and semicolons are available, though. Cool. You working on a new hack? Yeah. 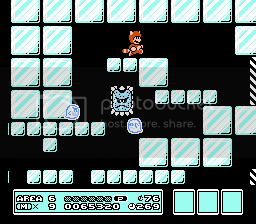 I played the original Zelda II recently and got an idea for a hack. Look fine to me, perhaps you just need your eyes checked. Also, sweet mother of ice abuse. Like the boo-in-ice effect though. Sweet. I look forward to seeing more. Those screens look good, but the boo palette may not be fitting... or is it. Last view: 1084 days Thanks for the positive feedback, GreyMario, Googie, and sspp03! 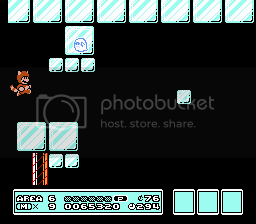 You like Boo's palette? 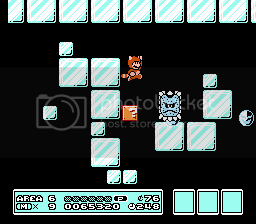 These enemy palette editions were experimental at first; I know that a Boo has a white color along with a bold color's line, so that's probably going to change, sspp03. The light blue will at least be darkened, if not changed to another color completely. Last view: 1282 days Argh, give me some status update on that kirby editor! Last view: 92 days Seeing Ice Penguin's Zelda II stuff has put me in a Zelda II hacking mood. I'm starting out with a graphical facelift. 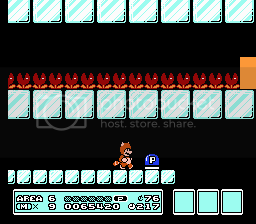 Last view: 30 days Here are some of my screenshots of my SMB3 hacks. The photos you're about to see are the W1-Fortress and a plains level that may be in World 1. None of the screenshots captured were easy. 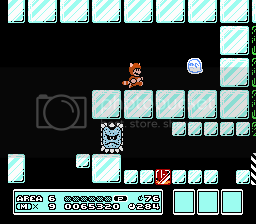 I got frequent "Game Overs" while capturing screenshots with NEStopia. What do you people think about those pictures? 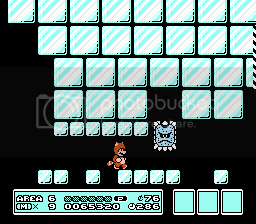 Seeing Ice Penguin's Zelda II stuff has put me in a Zelda II hacking mood. Yay! I'm really looking forward to seeing more! I can't get enough of Zelda II. Edit: I know you only showed just one screen, but I like it. I like the dark atmosphere you gave it. Last view: 1 day What are the purple things at the top supposed to be? In the original screen, they look like curtains, but in the new one, I can't tell. Last view: 92 days Yeah, they're still curtains, just giving it a revamp. Do you feel that they should look better? I want them to look good, so if you think there is something that could be improved, feel free to let me know. MySQL - queries: 112, rows: 153/0, time: 0.151 seconds.